. Most garage doors are built using sections. 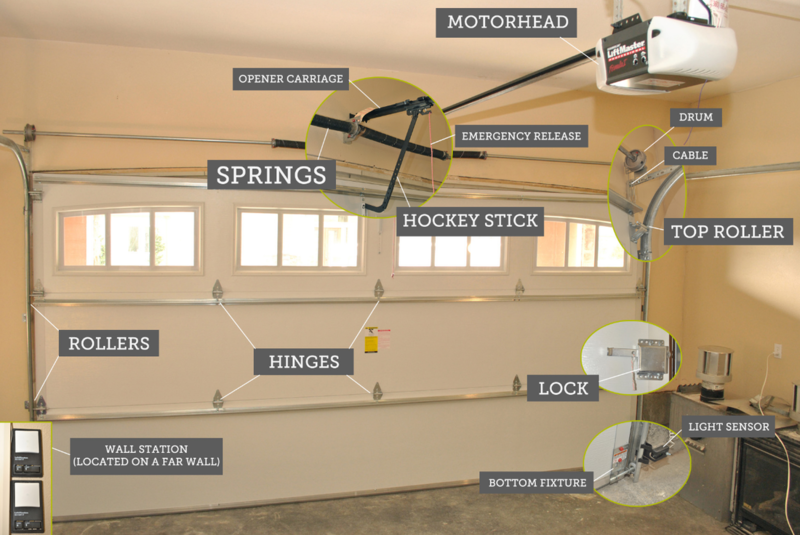 These types of garage doors are called sectional garage doors and are the most popular. We will accurately measure your garage and make sur the fit is perfect. Garage doors are hardly ever “one-size-fits-all.” Every home is unique, Your garage door is a huge part of this picture. A proper garage door installation has to incorporate both style and function; otherwise, you will probably run into problems in the future. It is important to find an expert who has the skill and tools to make sure the job is done right the first time. We are professionals and have an outstanding track record. Throughout the years we have encountered many garages, from the classic to the eccentric. A new garage door is a great way to increase your home’s curb appeal and property value. We maintains a large inventory of the most trusted garage door manufacturers. With so many types of styles and garage doors to choose from, you’ll be sure to find the exact one that will bring a smile to your face and wallet every time you get home. At Gilbert garage door repair we go the extra mile. With Your new garage door company for life(US) you will receive personal and professional attention from the most trusted name in the Phoenix area.